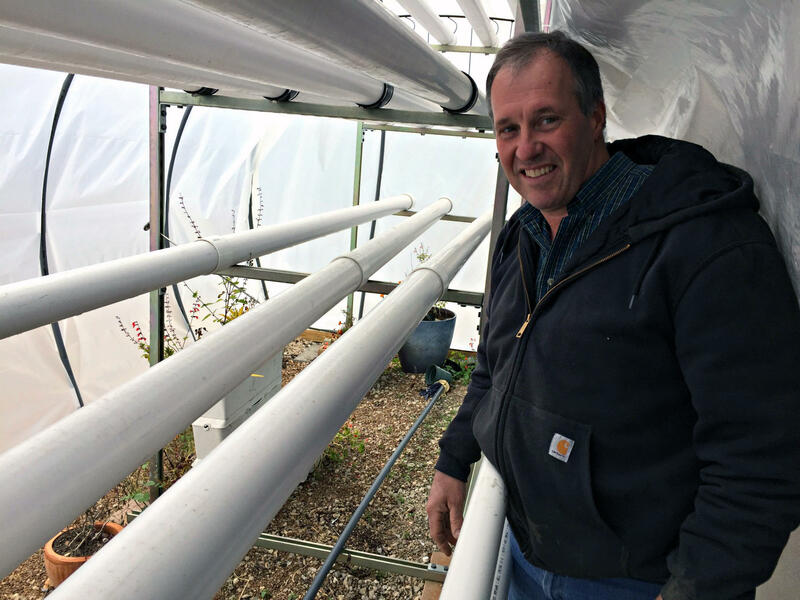 Chris Boeckmann, farm manager at Lincoln, says the farm’s hydroponic operation could technically be certified as organic by the U.S. Department of Agriculture even though no soil is used in the system. There is a battle going on in the organic industry over hydroponics, the technique of growing plants without soil. The debate gets at the very heart of what it means to be “organic” and may change the organic food available to grocery store shoppers. To be labeled as organic, fruits and vegetables are required to be grown without genetic modification or synthetic chemicals, and to meet other rules set out by the Agriculture Department. But what about produce that isn’t grown in the dirt? Hydroponic growing operations circulate a nutrient-rich fluid commonly called compost tea, which contains all of the nutrients produce needs to grow – no soil needed. Many hydroponic farmers contend their system protects soil by not even using it. If they grow produce without the synthetic fertilizers and pesticides barred in organic production, they say, they should be allowed to market their goods as organic. That’s a problem for many farmers who say soil is the essential ingredient for organic production. Many organic farmers say that from its very inception, organic farming was built on nurturing soil health. And some are worried that cheaper produce harvested year-round from hydroponic farms in warehouses will undercut organic prices. At its core, this argument is one of many popping up as the $43 billion organic industry explodes in popularity. Other organic dilemmas about the definition of organic seafood, the size of organic farms and the creation of an industry group for lobbying and research have threatened to upend the burgeoning industry. Chris Boeckmann is the manager of Lincoln University’s organic farm in central Missouri. Recently a colleague of his built a hydroponic system on the farm to grow lettuce. Technically, Boeckmann says, that operation is organic. “All the ingredients here that are going through the compost tea are eligible for organic production,” he says. For now, it’s up to the discretion of organic inspectors to certify hydroponic operations as organic. 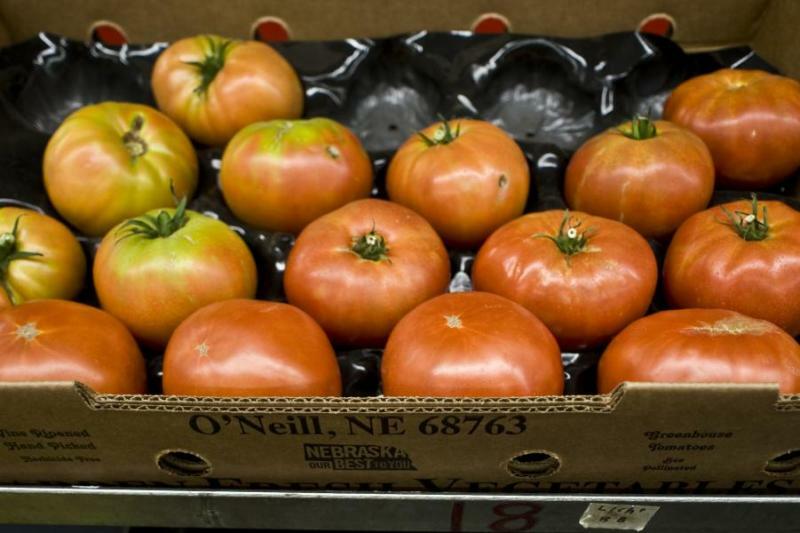 But the U.S. Department of Agriculture, which regulates the USDA certified organic label, is considering whether it should continue to certify hydroponic operations. “It does come down to what is the definition of organic production and is it truly eligible,” Boeckmann says. Farmers on both sides have been weighing in and it’s up to the National Organic Standards Board to advise the USDA on what rule to make. “I understand that there is a whole spectrum of how people interpret organic,” says Oklahoma organic farmer and NOSB board member Emily Oakley. Growing produce with soil is what organic production is all about, she says. “It’s this beauty of looking at working with the natural ecosystem and soil is the foundation of that,” Oakley says. 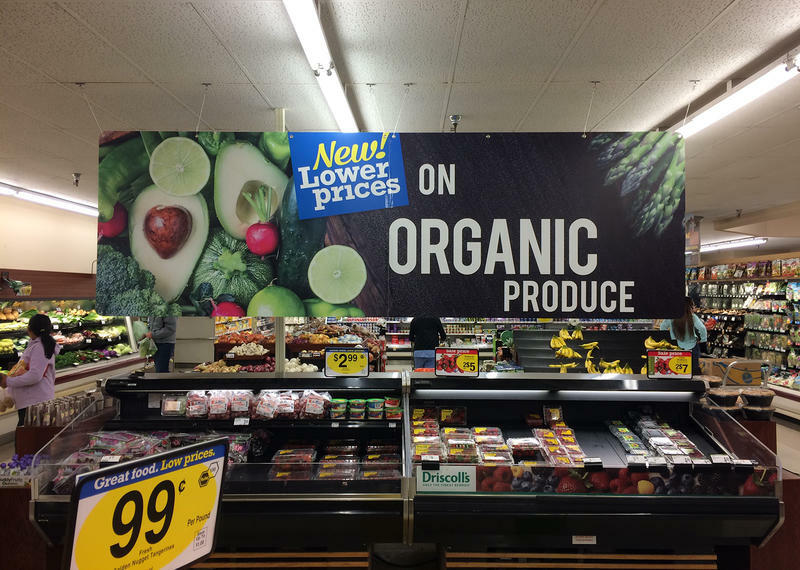 At its November meeting, the National Organic Standards Board decided that while it is largely against adding hydroponics to the organic label, members needed more time to refine their official recommendation to the USDA. Board members will be focussing on definitions of words like “container” and what that actually means in the organic context before they revisit the official recommendation vote at an upcoming meeting. The issues might be new, Batcha says, but debate over what is and isn’t organic has always been a part of the industry. It is constantly wrestling with new technology and techniques. “It really is farming and production system intended to meet the consumer’s needs and expectations,” she says. Indeed, a recent Pew Research survey showed 4 out of 10 Americans eat at least some organic food. Ultimately, it’s consumers who hold the power and they vote with their wallets at the grocery store. So if customers start snapping up hydroponically produced organic cucumbers, we’ll likely see the organic sector shift again. Can food be organic even if it’s not grown in soil? Many hydroponic growers in the U.S. want access to the $40 billion organic market, but a board that advises the U.S. Agriculture Department on organic industry policy signaled Friday it would recommend excluding produce not in grown in soil from the federal organic program. This week, we’ll hear how some farmers are using hydroponics technology to save on water, and revisit an interview with biologist Edward O. Wilson. 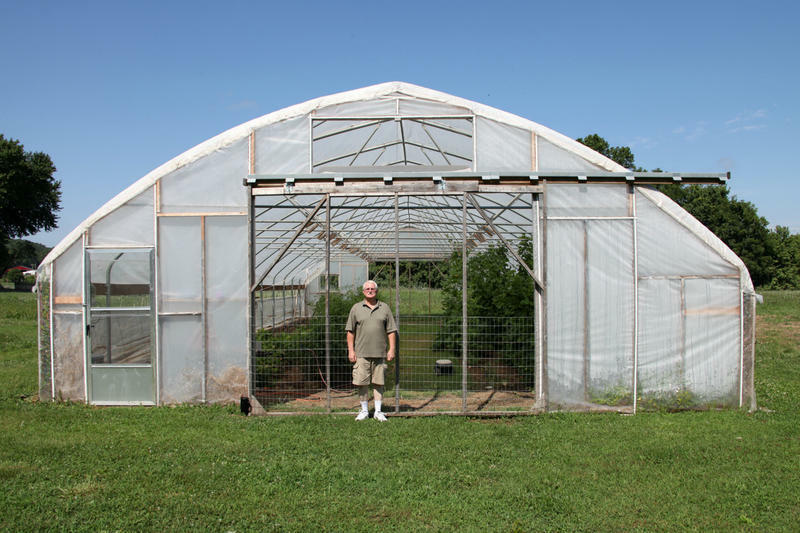 Marv Fritz runs a 24-acre greenhouse in O’Neill, Neb., in the north-central part of the state. 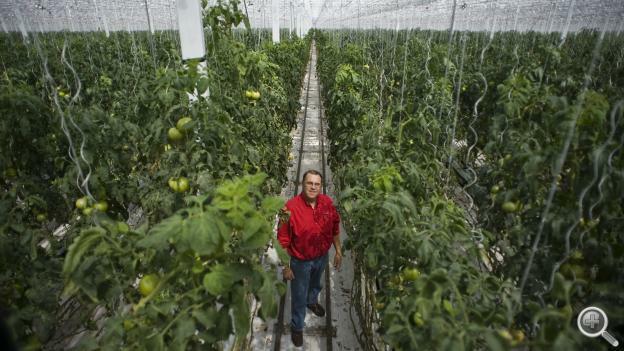 The 7-year-old greenhouse produces about 250,000 pounds of tomatoes a week during the height of summer. In an effort to turn away from chemical pesticides, which have the potential to damage the environment, some farmers are looking in a new direction in the age-old, quiet struggle on farm fields of farmers versus pests. They’re warding off intruding insects and noxious weeds with bugs and chickens. 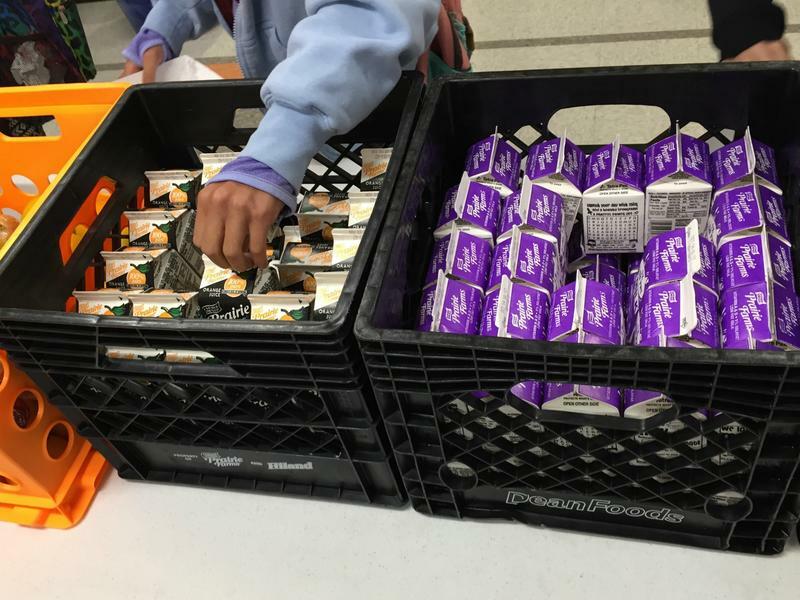 A bipartisan U.S. Senate bill that would have made changes to the $22 billion federal program that distributes free and reduced-priced meals in schools is officially dead, according to bill sponsor Pat Roberts, Republican U.S. senator from Kansas. The school lunch, breakfast, and summer meal programs will continue to operate under the policies set in 2010 under the Healthy, Hunger Free Kids Act.